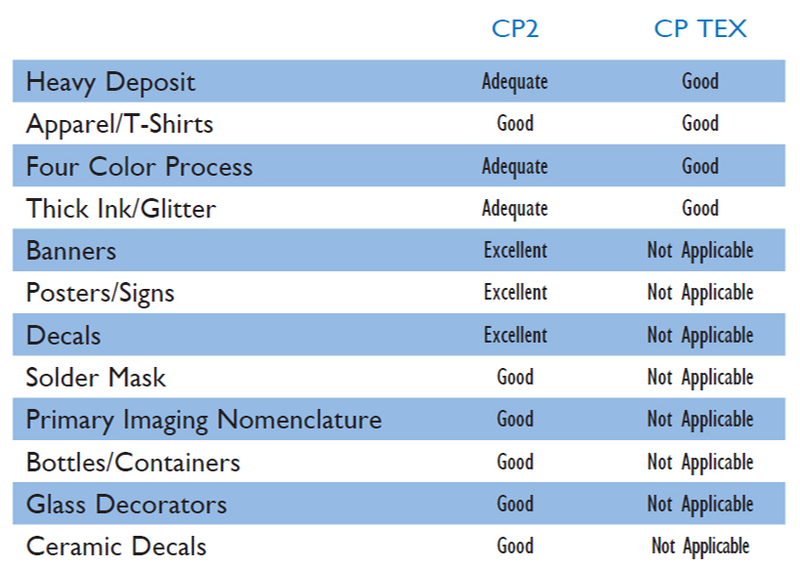 CP2™ dirrect emulsion is Chromaline's economically priced, diazo based photostencil emulsion for small textile and graphics shop. 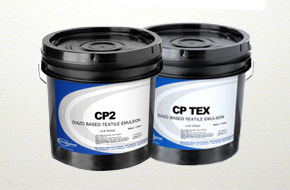 CP2™ is a dependable, hard working performer with a reputation for producing trouble-free screens. As a basic emulsion for graphics and crossover shops, CP2 is an excellent choice for printers using solvent, uV or plastisol inks. is a diazo sensitized direct emulsion for use with discharge, water-based and plastisol inks.